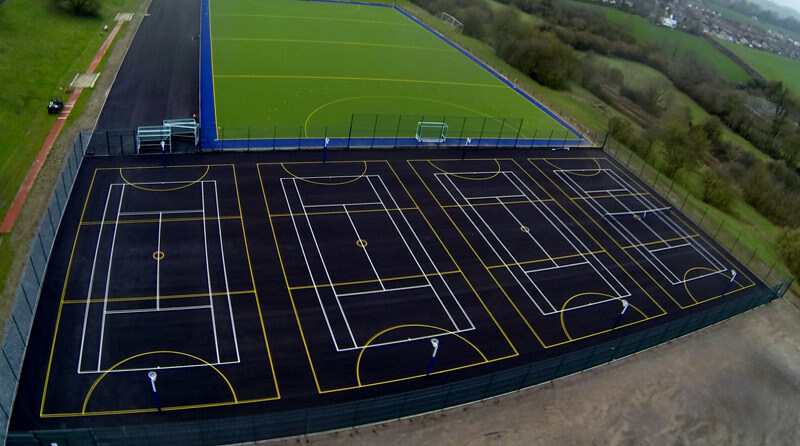 Berkshire’s Braywick Sports Ground gets new lease of life. 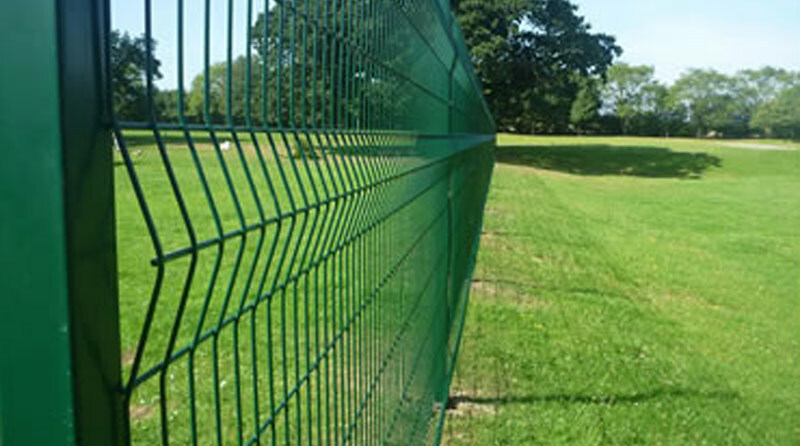 What can you do to rescue a failing sports pitch that’s no longer fit for purpose? That was the dilemma faced by the local authority in the borough of Windsor and Maidenhead when their artificial turf pitch at Braywick started to sink. The pitch had been built over a former waste dump site and the collapse was an indication that this failure, less than 3 years after the pitch was opened, was due to inadequate foundation work over some sections of the site. 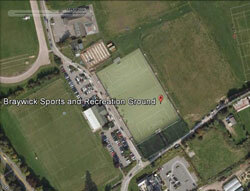 Sports Pitch Consultant, Jonathan Crowther, was asked to report on the problem and make recommendations. Careful examination of the site lead to a recommendation to remove the whole of the existing carpet and those parts of the shock pad directly affected by the collapse. Additional tarmac could then be laid to bring the collapsed areas up to the existing levels to create a stable and level surface. A new shock pad could then be re-laid over the repaired areas. Funds for the repair were drawn from the boroughs Section 106 (S106) funds. After examining several options, the final decision was to replace the carpet with a hybrid surface filled with sand and rubber crumb. This is an excellent playing surface well suited to the primary use of the site as a football pitch. Many professional football clubs in the Premier League use similar surfaces at their training facilities. 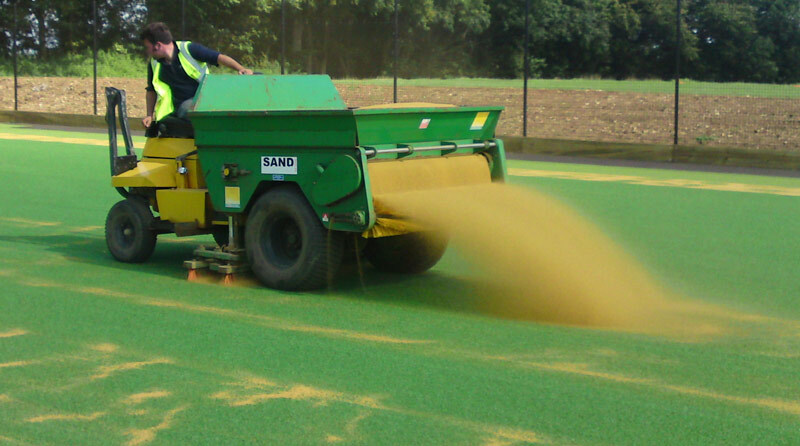 The rubber crumb base allows a unique playing surface similar to Premier league grass pitches. It’s also an acceptable surface for hockey, the other sport that shares the pitch. 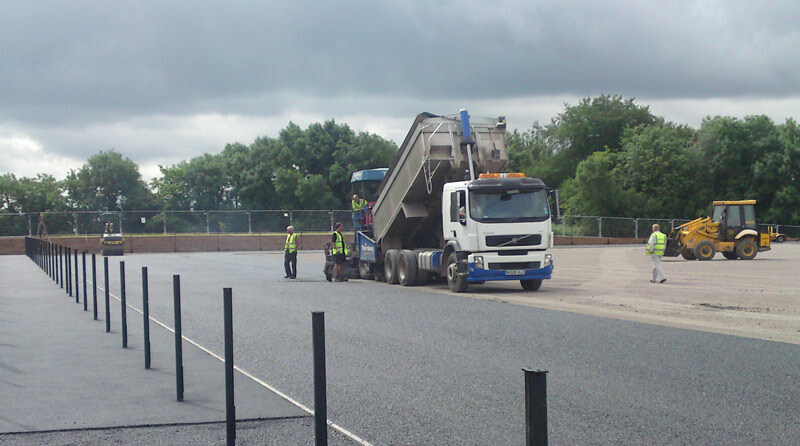 The quality of the repair and the new resurfacing carpet will guarantee that the pitch remains a useful sporting asset for the borough for many years to come.